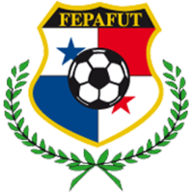 Spain cruised to a 5-1 win over Panama thanks in part to two goals from Barcelona forward Pedro. The world and European champions were 3-0 up by half-time after Andres Iniesta had teed up Pedro and Villa to slot home before Pedro produced a classy finish for his fifth goal in his last three internationals. Ramos then thundered home a wonderful free-kick nine minutes from time and debutant Susaeta completed the scoring for the visitors with an easy finish from Jesus Navas' cut-back. However, the home fans were given something to cheer three minutes from the end as Gabriel Gomez dinked home a penalty after Cesc Fabregas had tripped Nelson Barahona. Vicente del Bosque had taken the opportunity to leave some of his older players such as Xavi and Xabi Alonso back home, but still named a strong team against the side ranked 46 in the world that contained eight of the squad that won the European Championships in the summer. Villa was also given the honour of captain for the evening as Iker Casillas started on the bench and the Barcelona forward ought to have opened the scoring on 12 minutes but the ball seemed to take a bad bobble as he sliced horribly over from 10 yards out. The world champions were in front four minutes later though as a lovely interchange between Iniesta and Pedro freed the latter just inside the area and he beat Jaime Penedo with a shot into the far corner. Juan Mata then fired a free-kick just over the bar on his return to the international scene after being surprisingly left out of the squad for last month's World Cup qualifying double header, and Spain extended their lead just before the half hour mark as more magic from Iniesta saw him wriggle away from a posse of defenders before squaring for Villa to side-foot home his 53rd international goal. Gabriel Torres then saw Panama's best effort of the first-half whistle across Victor Valdes' goal, but the visitors were soon back on the attack and extended their lead two minutes before the break as Pedro latched onto Mata's through ball and showed amazing skill to dummy the goalkeeper before slotting the ball into the unguarded net. 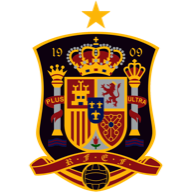 Del Bosque introduced Roberto Soldado, Fabregas and Navas at half-time and Spain were nearly caught cold after the break as Valdes was forced into his only serious save of the evening by a low driven effort from Luis Renteria. It was Penedo though who was to have the busier time in the second period as he did well to turn away efforts from Villa, Soldado and Fabregas whilst Navas also saw an effort come back off the post. Susaeta had appeared to have missed his opportunity for a debut goal when he miskicked with the goal at his mercy 12 minutes from time but after Ramos had curled in a beauty of a free-kick for his eighth international goal, the Athletic Bilbao midfielder turned the ball home from Navas' inviting cross. However, there was a memorable moment for the hosts when Fabregas was adjudged to have clipped Barahona inside the area and Gomez cheekily chipped the spot-kick past Casillas, who had since replaced Valdes.